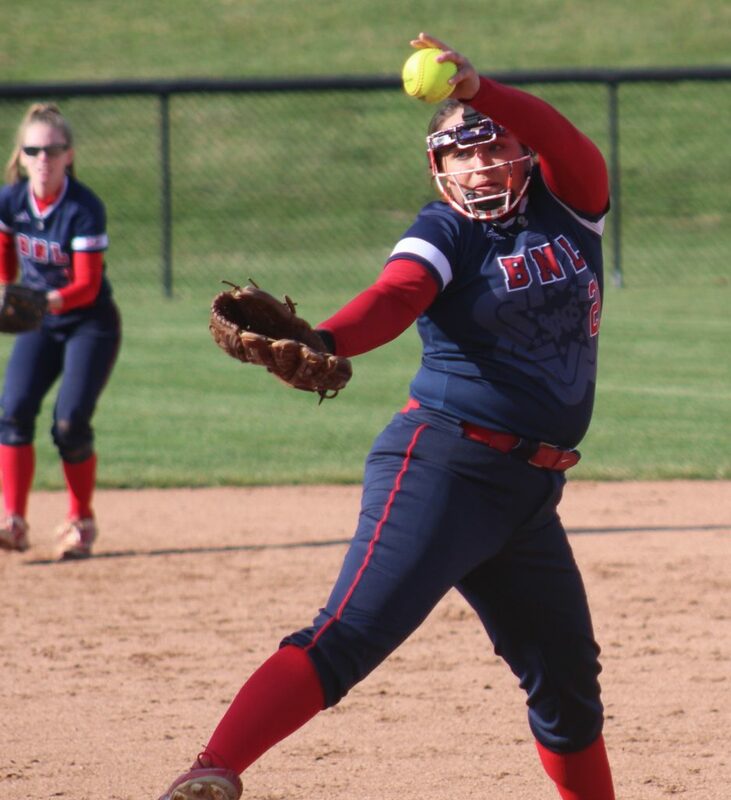 BNL’s Leona Morron earned two wins in the circle and had a walk-off double as the Stars swept Cambridge City Lincoln and Greensburg on Saturday. GREENSBURG – Bedford North Lawrence won a thriller and a chiller while sweeping a split doubleheader at Greensburg on Saturday afternoon. The Stars scored a run in the bottom of the seventh to clip Cambridge City Lincoln 4-3 in the opener, then blasted host Greensburg 13-3 in the second contest. 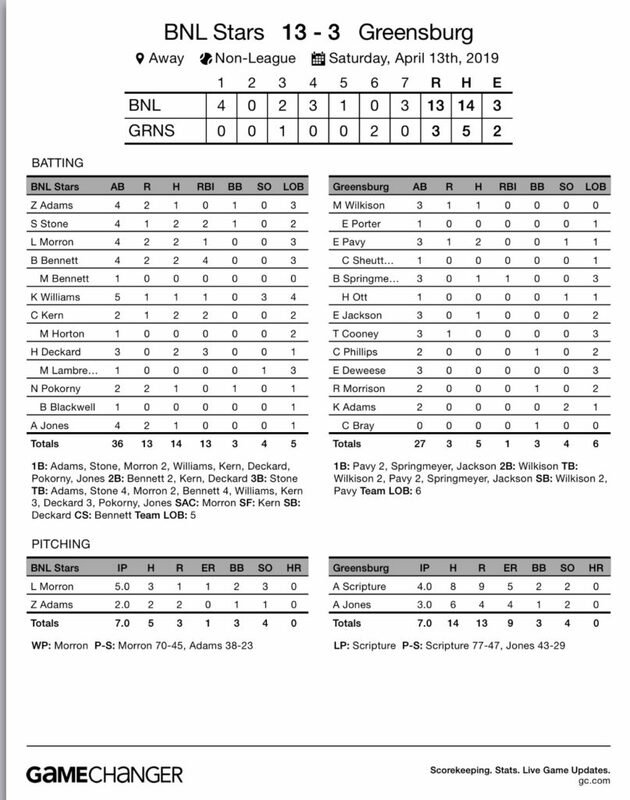 BNL (9-2) extended its winning streak to six straight. Leona Morron doubled in the game-winning run with two outs in the seventh in the first game, and the Stars pounded out 14 hits while overpowering Greensburg in the finale. 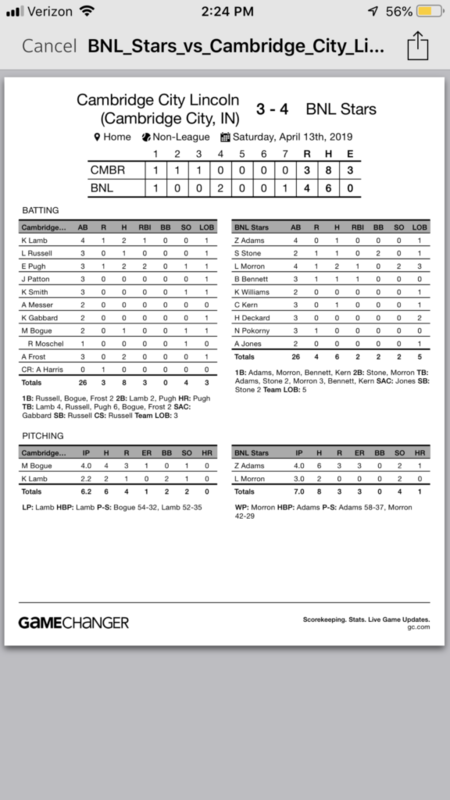 Cambridge City (5-2) burst to a 3-1 lead before BNL battled back. The Stars scored twice in the fourth to draw even as Morron singled, took second on a passed ball and scored when Brynlea Bennett scorched a RBI single to center. Bennett later scored on a wild pitch. In the BNL seventh, Nicole Pokorny opened by reaching on an error. Averie Jones sacrificed her to second, and with two out the Eagles intentionally walked BNL blaster Sarah Stone to set up Morron’s dramatic hit. Morron has two of BNL’s six hits. She also earned the win in the circle with three innings of scoreless relief work, allowing only two hits and striking out two. Kaleigh Lamb. Allison Frost and Emmie Pugh had two hits (with 2 RBIs, including a home run in the third) each for the Eagles. In the second game, the Stars scored four in the first to pounce on the Pirates (7-1). Haley Deckard cracked a two-run double to get BNL rolling. Bennett had two doubles and 4 RBIs, Stone had a triple and 2 RBIs, while Morron, Carlee Kern and Deckard (3 RBIs) all had two hits. Morron (7-1) also earned that win, pitching five innings and allowing only three hits and one earned run. BNL will visit Bloomington South on Monday.